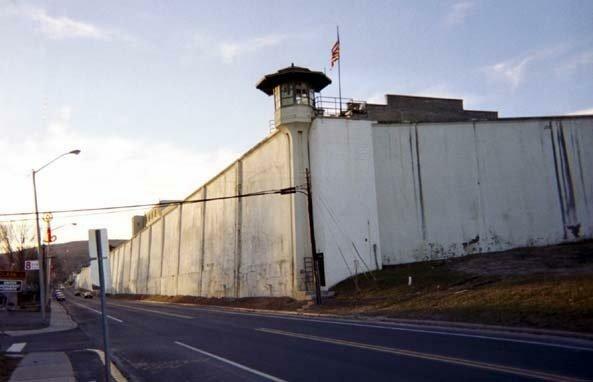 This 3 day 4 night excursion will take you to the heart upstate New York where you will experience first hand the prison escape of David Sweat and Richard Matt from the Clinton Correctional Facility in beautiful Dannemora, NY. While staying at the luxurious 3 star Comfort Inn in downtown Dannemora your trip will start with a Friday Night Cocktail party celebrating the capture and shooting of these notorious criminals. Then on Saturday you will tour the prison and see where these thugs sawed and drilled their way to freedom just outside the prison. Lunch will be served in the prison cafeteria. After that we will drive to the Lake Placid Farmhouse café for a sumptuous dinner. Some of the best in all of New York. On Sunday we will trace the fugitives steps to the cabin in the woods. This leg of the trip will be hosted by none other than Joyce Mitchell’s husband, Lyle. Her conviction as the first accomplice makes his story incredible. He will guide you through the woods to the infamous peanut butter DNA cabin. As we explore the woods around the cabin an examine various hideout locations a box lunch will be provided. You can feel the desperation as these fugitives ran through the woods using pepper spray to mask their scent from the dogs. Each of you will be provided your own can of this so you can immerse yourself in the experience. Sunday night you have some free time to explore the town and choose a restaurant of your choosing. Then Monday, we will follow the path that Richard Matt and David Sweat took to Malone New York. You will see where Richard Matt tried to shoot it out with the police. You will meet the camper driver who made the call when a stray shot went into his camper. Then onto the field where David Sweat was shot in the back twice. We will go by the hospital where he was taken after being shot. So sign up today for the Prison Break Tour. There is nothing else like it. Feel what the fugitives felt as they ran for their lives. Meet the people who lived it. Experience the intense manhunt and see how history was made. Continental breakfast at the Comfort Inn is provided each morning. Lead to the rise of ISIS. Will lead to countless more deaths. Frankly, when I see an image of a Muslim with a knife beheading Christians, I don’t have a distorted view. I see a religious fanatic committing murder in the name of his religion. That religion is Islam. Look around the world today; Boka Haram, Al Qaeda, the Taliban, and ISIS. These are not Christian groups, Jewish groups, Hindu’s, Buddhists, or Greek Pagans. Nope, they are Muslims. I would like to lament that we have a president that consistently puts Americans at risk in favor of a politically correct theoretical view completely in la la land. Those whose death he is responsible for will never have a chance to speak up. His theory kills real people. How many more Dylanns are there? Journalism is dead in America. Instead we have Pravda, the NBC 1960s Russian affiliate spewing propaganda with zero conscience. Friday, the nightly news with Lester Holt ended its coverage of the Charlotte, NC tragedy with the comment that “gun control was likely to be a big issue in the 2016 presidential race.” How absolutely crass, cold and opportunistic is that? Let’s stomp on the victims memories with political manipulation. We have all heard it. Immediately after a tragedy makes big headlines, Barack Obama, Hillary Clinton, and others start preaching the need for gun control. They do not wait for the families to grieve or respect the victims. Instead, they attempt to used that event to push their personal political agendas. NBC this week was in fine form as they followed the President’s lead. There are so many approaches that NBC could have taken that could have both honored the families of the victims and had a measurable positive impact on society. Instead of addressing the cause, they parroted the President’s agenda. The real cause of this tragedy is Dylann Roof who chose to commit this heinous act. The secondary causes are the sources of information that bred such hate in this man. NBC certainly could have focused on the hate web sites and groups that still remain as social outliers in this society. They could have made points about the wrongness of hate and contrasted this to the forgiveness shown by the victims’ families. If through NBC‘s reporting one person reconsidered their approach to race many more lives would be saved and they would have done real journalism not just parroted a political agenda. They could also have reported on Dylann’s family and what steps led up to this. Why would the dad give him a gun? Was the family familiar with his intentions? Did the family support this? What about his friends, why did they not speak up? Do they have the same views? Are there more Dylann’s lurking in the weeds of Charlotte? Even within the scope of gun control NBC did not report on the huge death toll in Chicago, or the increased homicides in NY where there are gun control laws. Why do they not report on these greater tragedies. Is the value of life less important than their agenda? It seems so. By failing to do honest reporting NBC leaves us all at risk while demeaning the memory and sacrifice of the victims. Shame on NBC. Ok, I am not really serious about that, but there is no question that Rachel Donezal needs to be prosecuted by the Spokane, WA. prosecutor’s office. Over a host of years she received salary and snookered donors into giving 10’s of thousands of dollars to the Spokane, WA chapter of the NAACP. Legally, that is fraud. In terms of dollars, it is huge fraud. There is no excuse for her not to be prosecuted. What she has done is a form of identity theft. If she is not prosecuted then everyone who commits identity theft will have a ready made defense. Below are a few lines from identity thieves after Rachel gets away with this. This girl left the mental reservation, committed huge fraud and is dancing in fame. How whacked is that? Our legal system is about to come crashing down. If things were true just because people said so, we would live in a world much like the one we are experiencing. Rachel Donezal decided she was black and for years no one revealed the truth about her. Her parents were not hidden, her lawsuit as a white chick against Howard University was not hidden. She just said, “I am black.” and like magic, she was. Still no matter how you look at it she had and always had anglo genes. No matter of imagination would ever make her black. But, she continues, “I am a black girl in a white chicks body.” Would that make it true? What if she were to have a race change operation? (Exchange her white skin for black skin.) Would that make her black? How about a face tattoo changing the color of her skin? Does that make her black? Much of the media CBS, NBC, ABC, MSNBC have given her a platform to try and redeem herself. She committed fraud, collected 100,000s in salary, lied to everyone she dealt with and still much of the media gives her a pass. My goodness, the misrepresentation to get salary is worth 10+ years in jail and restitution. Where is the call for that? So lets just say this is ok in our world, what else would be ok? What if I say that I am an ace airline pilot in a blind man’s body? Would Delta let me fly their planes? What if I say I am a woman in a man’s body? Will I ever get pregnant? What if I am a convicted murderer in jail and I say that I am not? Can I just tell them I am not a criminal and they let me out? What if I say that someone is a child abuser? Does that make him or her so? Shouldn’t they be jailed just because I say so. Telling everyone the economy is better. Telling everyone that Obamacare is a success. Telling everyone that our borders are secure. Telling everyone that ISIS is losing. Telling everyone that there is no crime in Benghazi, with the IRS, or the Clinton Foundation. A lot of people fall for these lines until they run into the facts. The media banks on blind acceptance of the lies as most of the people are too absorbed in electronics, TV, or drugs to care. They can be herded. When they wake up, will the media be held accountable. 1984 does not last forever.